I began publishing Jake's Rolex World back on May 7, 2008, and It's hard to believe I am entering my 10th year of publishing!?!! So I thought I would take this opportunity to reflect back on the past decade, as well as to look forward to the future. If you want a good laugh, you can take a look at what Jake's Rolex World looked like on the first day I publish it back on May 7, 2008. I started Jake's Rolex World for several reasons. 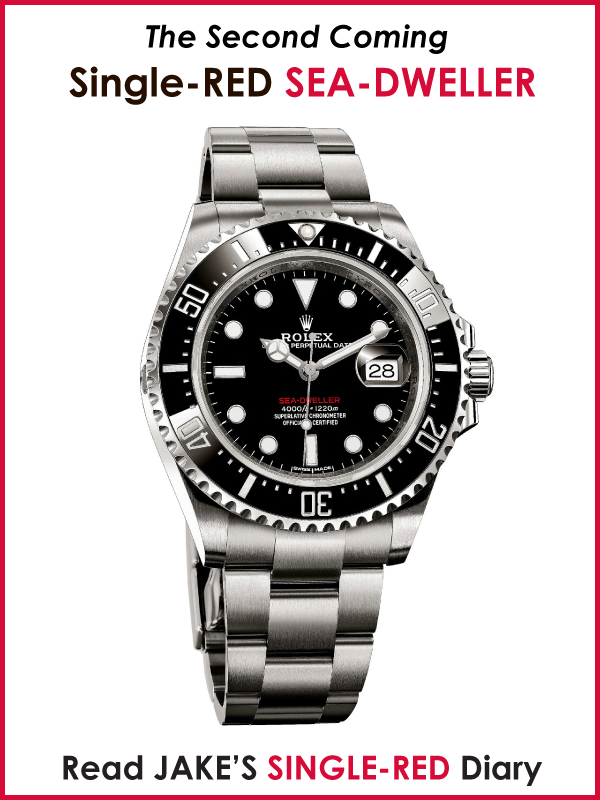 My love for Rolex began thirty-five years ago, when I fell madly in love with the Rolex Submariner. 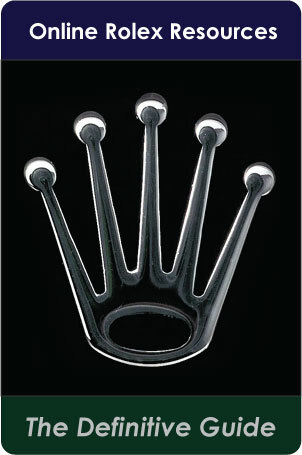 Don't ask me how, but I figured out how to purchase a Rolex Submariner when I was 16 years old. 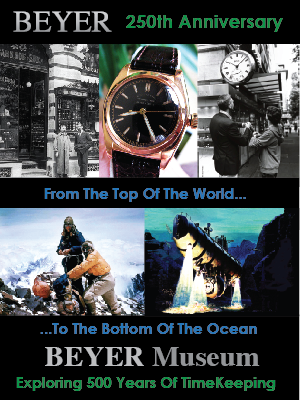 Once I had my Rolex Submariner, I spent countless hours studying its timeless beauty, and for the next quarter-century, I tried to learn as much as I could about Rolex and its history. Learning anything really meaningful about Rolex's history was a challenge, as there was not much out there in the way of quality historical material. This was ironic in the sense Rolex really hit its Apex or Zenith point on the reputation curve in the 1980s. 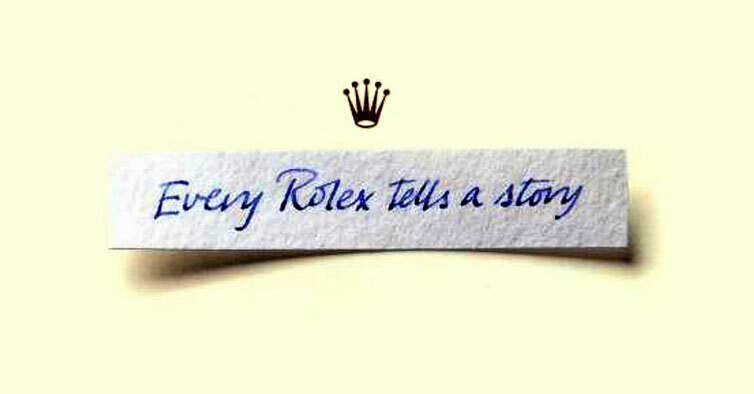 In other words, Rolex went from being a company that struggled to reach the top—up until the early 1980s—to a company that had arrived. 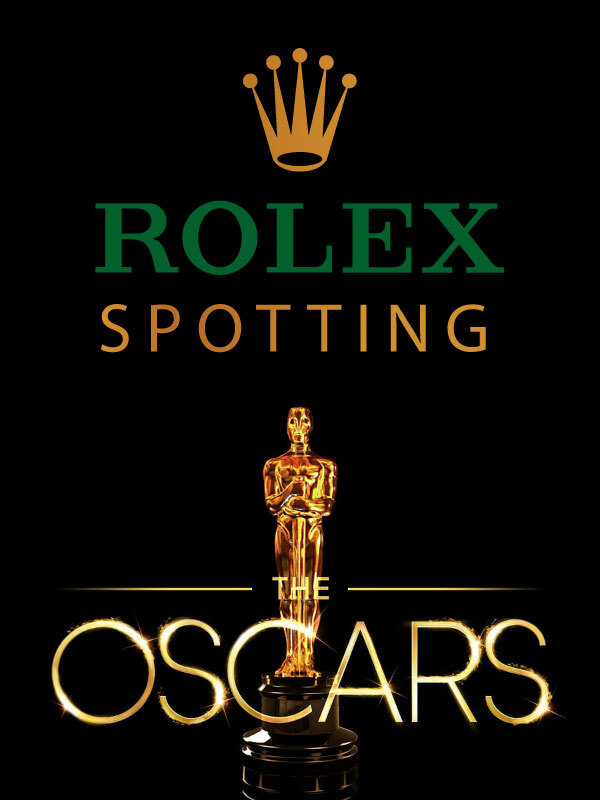 The irony is that somehow Rolex managed to become one of the top brands in the world, while almost remaining in stealth mode. Of course, this all occurred in a pre-internet world, but looking back in the rear-view mirror of history, it appears Rolex was just kind of shy in a typically Swiss kind of way. 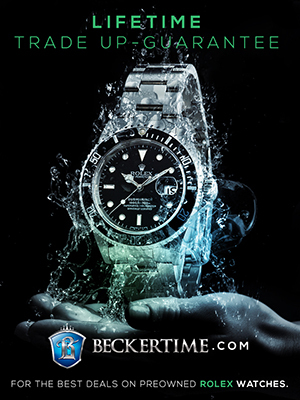 Over the quarter-century prior to publishing Jake's Rolex World (ten years ago), I had owned eight different Rolex watches. [That means I typically got a new Rolex every three years.] 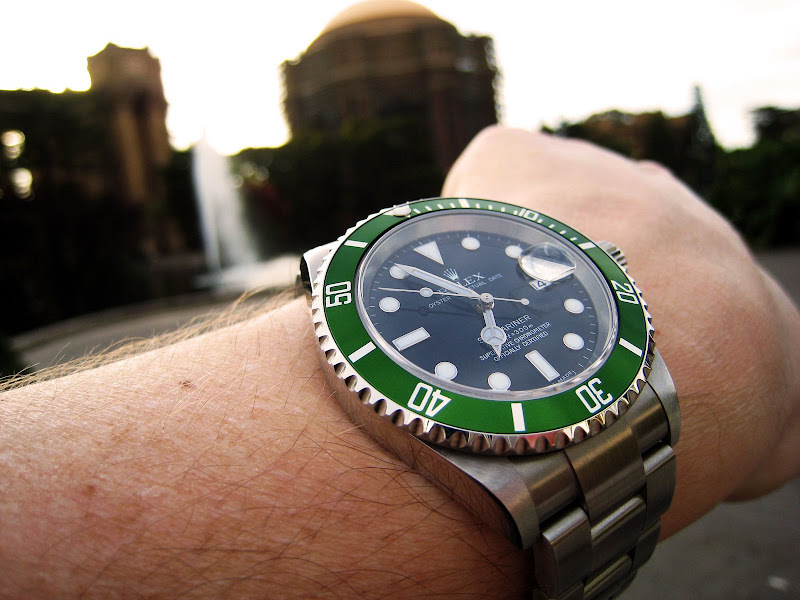 Ten years ago, I bought a 50th Anniversary LV Submariner, which featured the green bezel insert, and marked the return of the maxi marker. The wrist shot above shows my LV Submariner on my wrist. 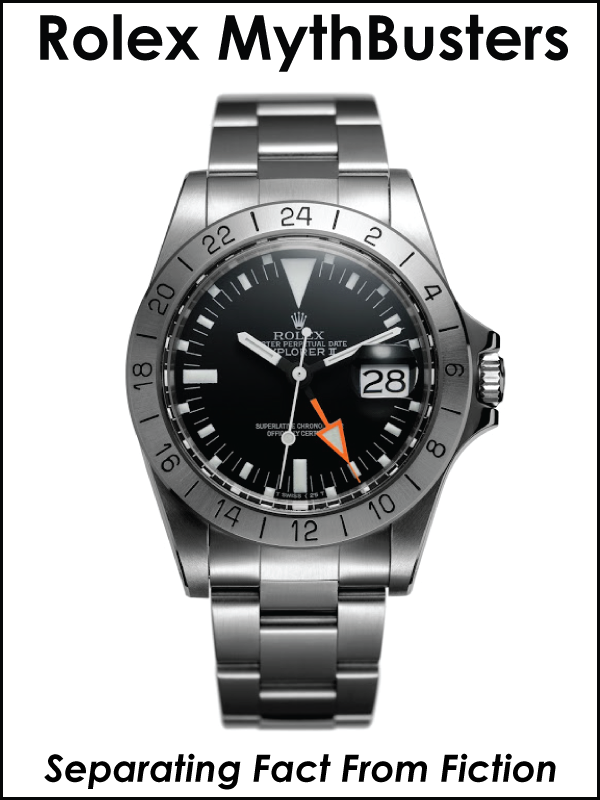 When I purchased my LV Submariner, I did a lot of research about the model on the web, and I kept wandering into posts on RolexForums.com. I remember being shocked with how many pathetic men there were on RolexForums.com, who were incessantly talking about Rolex watches. I remember feeling bad for all these men, who had nothing better to do with their time than talk about Rolex. I remember I kept running into threads that had posts from a guy named J.J. Irani, and I could not help but notice he had more than 50,000 posts on RolexForums.com!!??!! The small photo below was J.J. Irani's avatar picture which seriously Deja Vu's me out when I look at it today. I ended up lurking on RolexForums.com for several months. I was fascinated with much of the content, but kept feeling bad for all these poor souls, whose lives seemed to revolve around their relationships with other dudes on the forum. Then one day, somebody created a post on RolexForums that I knew the answer to, but nobody else answered it. Next thing you know, I created an account, signed in, and proudly answered the question. The next thing you know, I became one of these men who was going crazy chatting non-stop about Rolex on the Rolex Forum. As time went by, I ended up becoming pals with J.J. Irani, who is pictured below. J.J. Irani was an amazing man!!! In many ways he was almost the mascot for RolexForums.com. J.J. Irani was a really funny dude. 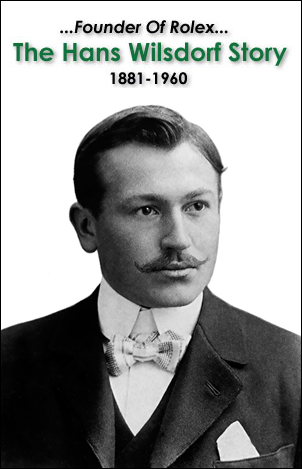 He was from New Zealand, and had a very boisterous personality. He was always kidding around with forum members like Jocke, who was from Sweden. I used to kid around with J.J., and I put together the image below that put J.J., in a photo from a Twilight Zone episode that featured William Shatner, which was titled "Nightmare at 20,000 Feet." 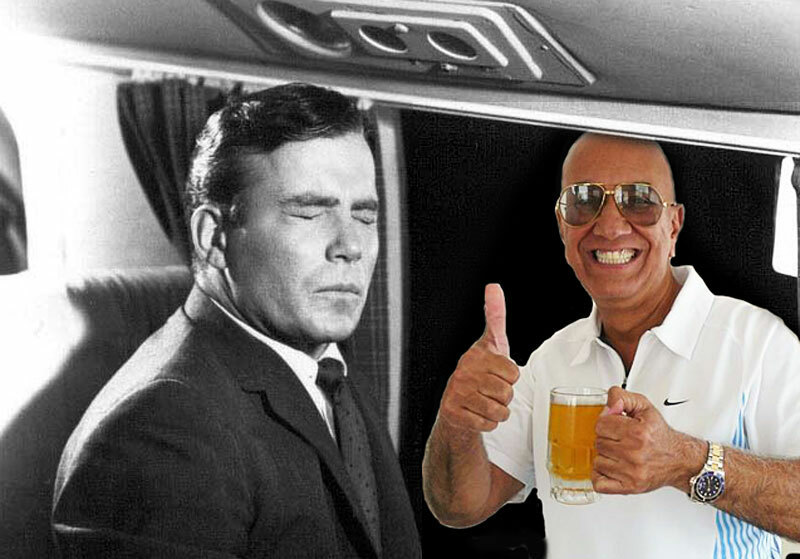 If you are familiar with that Twilight Zone Episode, you will recall that William Shatner's character (Pre Star-Trek), kept seeing a crazy creature out on the airplanes wing, who was chewing on power cables. 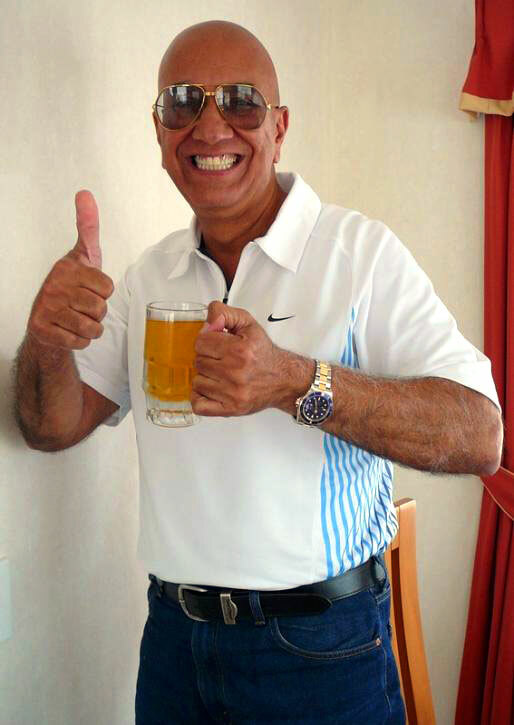 I superimposed J.J.'s image in place, giving the thumbs-up while drinking a beer, wearing his beloved two-tone Rolex Submariner. 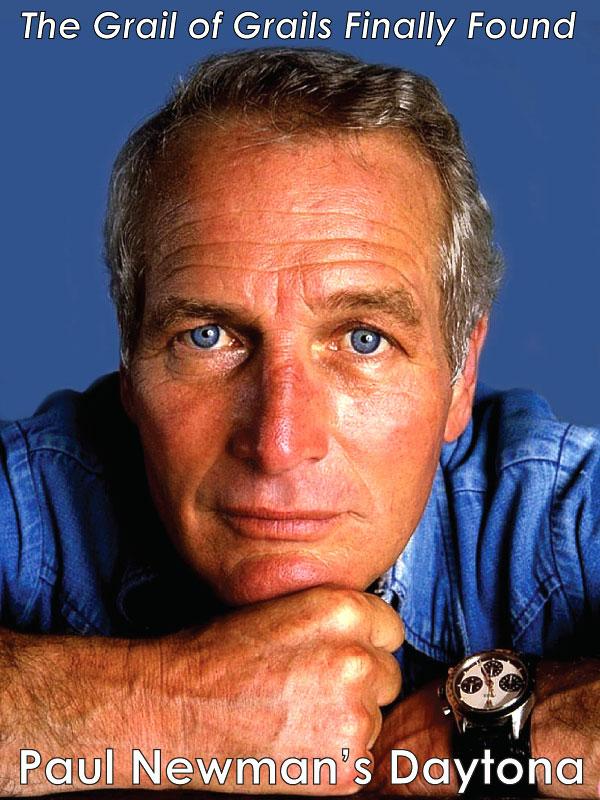 As a member of RolexForums.com, I became kind of obsessed with checking out photos of famous people wearing Rolex watches, so I started a thread named, "Definitive Famous People Wearing Rolex Photo Collection." 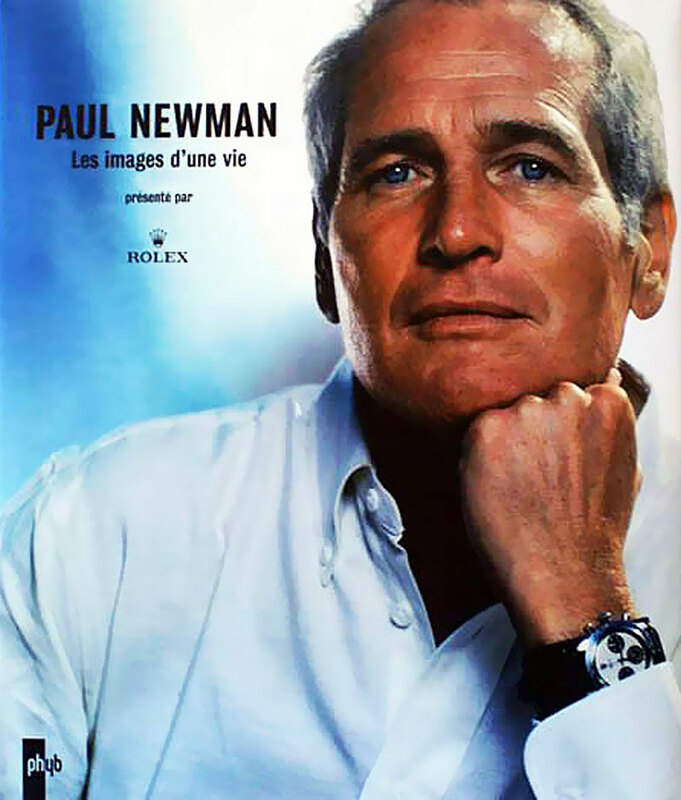 The thread became a huge overnight success, and forum members got really into it, as did I. I went crazy posting photos of famous people wearing Rolex watches, and my first image was this classic image of Paul Newman wearing his trademark Rolex Daytona. My thread about famous people wearing Rolex garnered much attention, and there was a moderator on RolexForums.com, who kept messing with me, telling me I was getting too carried away with posting photos of famous people as well as images of how I thought Rolex watches should look. He told me I needed to slow my roll. He told me I made myself the center of attention, but that since I was so new to the forum, I needed to curb my enthusiasm. He literally drove me nuts, constantly haranguing me for no apparent reason. I thought he was ridiculous, and we ended getting in a confrontation, which resulted in my telling him to stop bothering me in a somewhat forceful way. To make a long story short, the powers that be banned me!?!! I though they were crazy. I made all these great friends on the RolexForums, and created one of the best and most intriguing threads, and they ban me!?!?! I remember begging them to lift my ban, and they refused. I even reached out to J.J. Irani, and spoke with him on the phone, but even he could not help me. I was frustrated beyond belief, and after a few days, I got an idea. 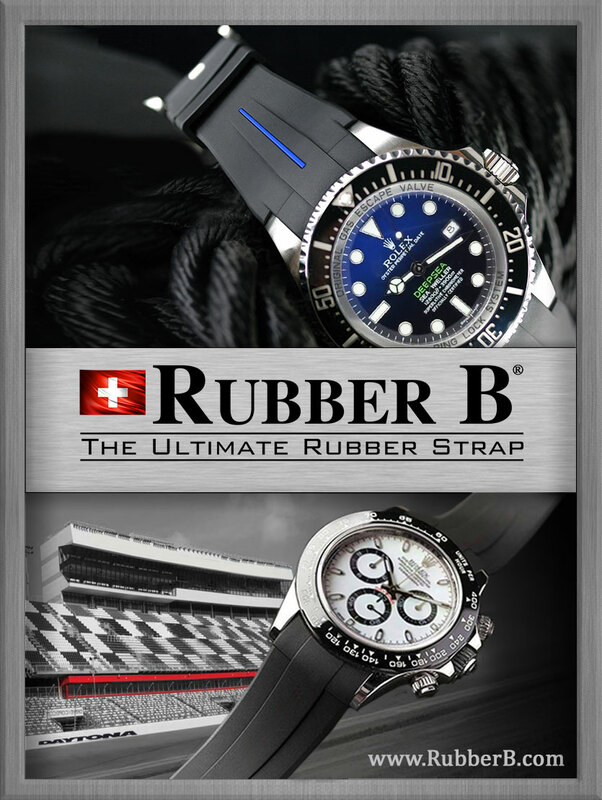 I thought, why not create my own Rolex blog, where I could post whatever I wanted, whenever I wanted, without having to deal with a bizarre political structure that made no sense to me. Thus I started publishing Jake's Rolex World on May 8, 2008. Perhaps the obvious question, is what's next? What are the plans for this 10th year of publication, what about the next decade? I plan to keep going, and hope to expand the coverage, and scope of Jake's Rolex World, by bringing additional writers on-board, as well as completing a user-interface overhaul, which will make all of the amazing Rolex history content much more engaging to explore. 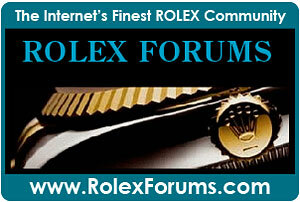 I also plan to start publishing more detailed video interviews and documentaries on Rolex related topics. I would also like to point out that over the years I have met many, many fine people and made many great friends as a result of publishing Jake's Rolex World. 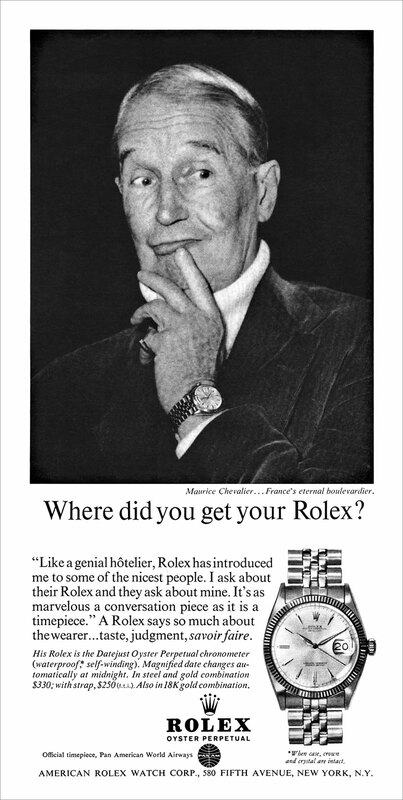 The Maurice Chevalier Rolex ad from 1964, pictured below, pretty much sums it all up...As Maurice points out, Rolex watches are not only great timepieces, but also great conversation pieces. Also, I would like to personally thank all of my readers and supporters for helping to make Jake's Rolex World what it is today. Over the years so many readers have written in to help by providing valuable photos, insight, and often times to point out a typo I overlooked. In the final analysis, Jake's Rolex World is really about the readers, of which I am one. In other words, almost every day, after I get done publishing, I end-up wandering the whispers of Jake's Rolex World, which never ceases to engage me on so many different levels. 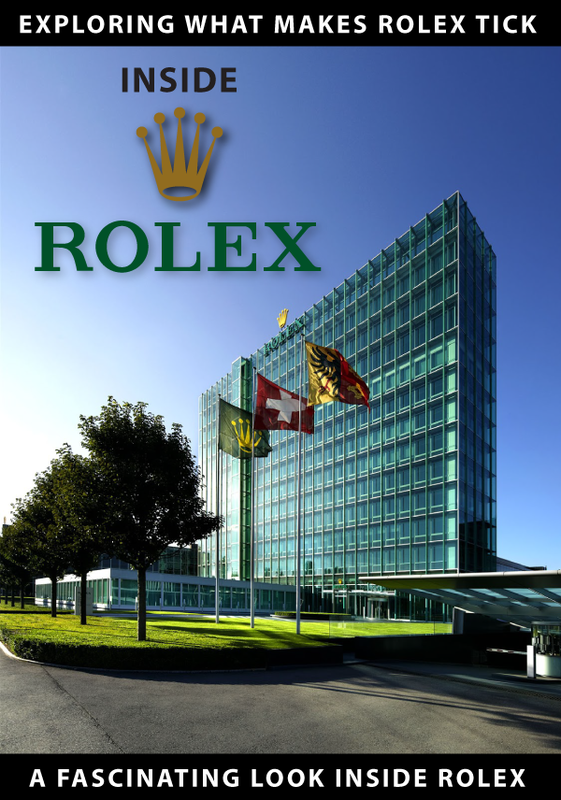 I am working on many new fascinating Rolex stories that I look forward to publishing in the future. I also believe that despite the fact I have already published, so much, I think the best is yet to come!!! !